I frequently hear people complain that they miss seeing fall colors in Phoenix. It’s true, we don’t see much of a seasonal change here in the Valley of the Sun. Most of the trees are evergreen such as the Palo Verde tree. 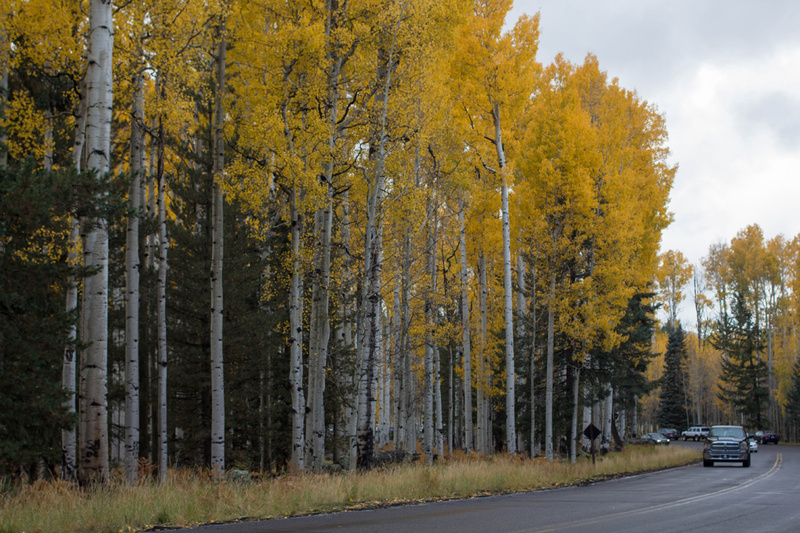 People come to Arizona Snowbowl for a couple of reasons, but the biggest reason is due to the birch trees in the area. There are a ton of birch trees, and some nice parking areas where you can stop and hike through the woods. You’ll want to check online to see when the leaves are changing, but mid-October is generally the best time of year. We also drove up to the top and parked at the Arizona Snowbowl lodge. 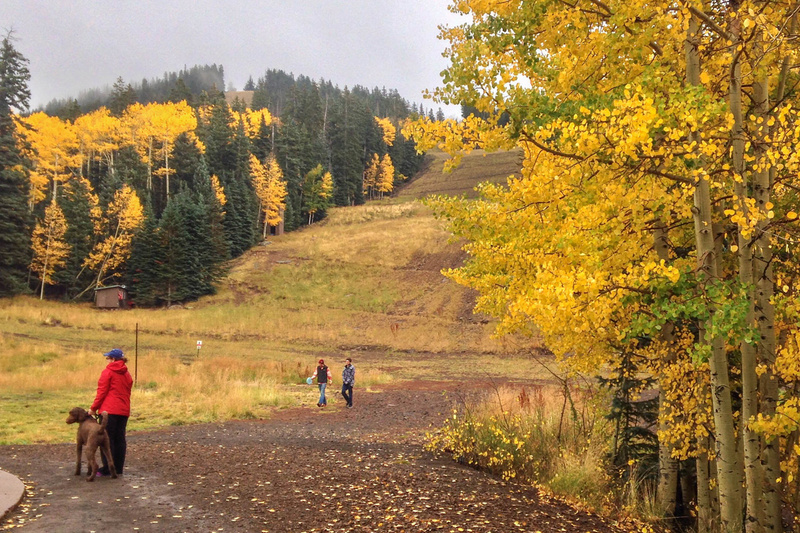 Parking is free and there are no fees to simply wander around the mountain. You can even hike out onto the open areas and see the snow making equipment. If you’re looking for a bit of an adventure, they offer rides to the top of Mt. Humphreys on the ski lift. It takes 25-30 minutes to get to the top, but the views can be spectacular! 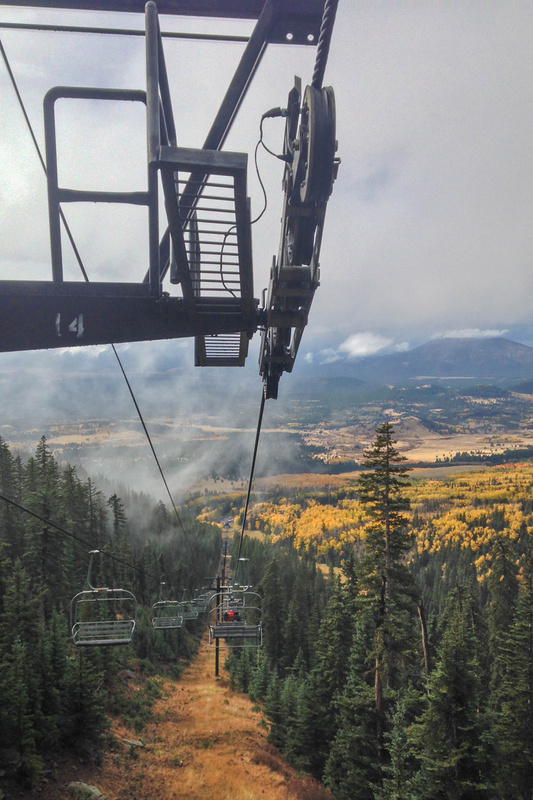 On this trip, we were enveloped in a cloud at the top, but I’ve been to the top numerous other times and if it is clear you can see all of Flagstaff below. A little story: For this visit, we rode to the top despite the weather. They told us that there was sleet and occasional rain. A few minutes into our trip up to the top of the mountain we experienced a lightning and thunder storm. This was certainly not anything they had warned us about! Due to the storm, they didn’t allow us to get off the lift and so we turned around and came back down. They didn’t offer refunds, but we got one. I asked them about their weather alert system. I don’t believe they have a weather monitoring service. So, you may wish to check the weather before riding to the top (good luck, though, since there is minimal cell signal on the mountain). All in all, we had a fantastic time seeing the fall colors. 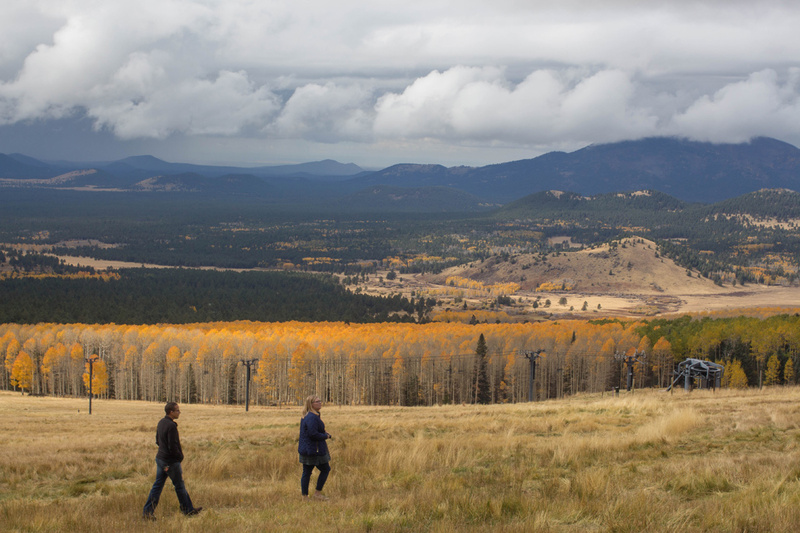 Flagstaff is a two-hour drive from Phoenix, and is one of the best day trips or weekend getaways available in the region. There’s a lot to do in and around Flagstaff.